Leading renewable energy and infrastructure consultancy, Natural Power, has appointed Shawn Shaw to the role Head of Solar and Energy Storage. Based in the Saratoga Springs, New York office, Shawn will be responsible for leading and growing Natural Power’s robust solar and energy storage business lines focused on due diligence, technical advisory, and independent consulting to financiers, investors, project developers, and government agencies across the world. Shawn joins from The Cadmus Group where he was Principal in charge of the firm’s multimillion-dollar distributed energy resources (DER) practice area. 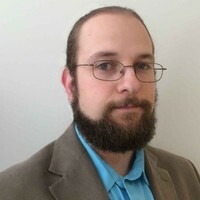 During his time in this role, Shawn founded and led a multidisciplinary team responsible for more than 6,500 hands-on solar PV inspections, dozens of owner’s agent engagements, numerous energy storage studies, and consulting projects for a wide variety of utilities, state agencies, and private sector clients. Shawn brings technical expertise in solar PV, energy storage, performance analysis, testing, inspection, and engineering to Natural Power’s industry-leading team of engineers, analysts, and consultants. Shawn has a background in applied physics and is a registered power systems electrical engineer. He was recently the lead author of the Renewable Energy Application Guide of the International Performance Measurement and Verification Protocol (IPMVP) and a major contributor to solar installation best practices documents published by the Solar Energy Industries Association and the National Renewable Energy Laboratory. Shawn also regularly presents and teaches on solar fleet quality management, energy storage measurement and verification, and the design and evaluation of public renewable energy incentive programs. Natural Power has a proven reputation and track record of working with clients to deliver solar and energy storage projects, from site finding and feasibility studies through to financing and construction. The team supports its clients through the project design and permitting process by bringing together cutting-edge knowledge and experience with a realistic approach to development and risk mitigation to develop robust and buildable projects. Find out more at https://www.naturalpower.com/sector/solar/ and https://www.naturalpower.com/energy-storage/.